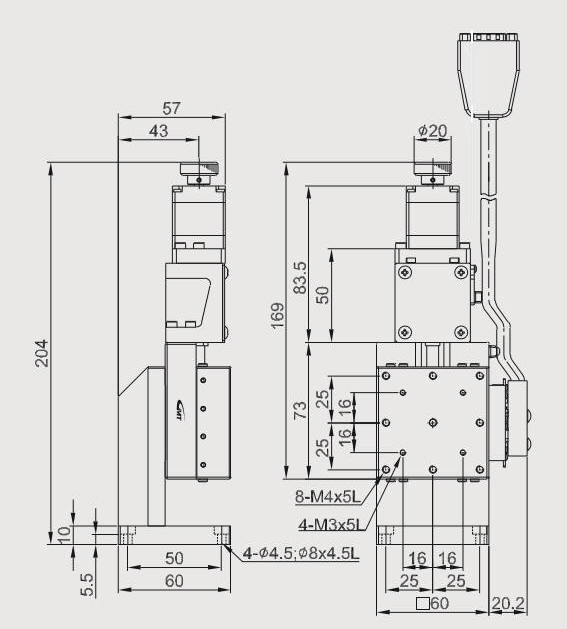 Motorized Z-axis Linear Positioning Stage, stage size is ­60 by 60 mm, travel stroke is 20 mm, load capacity is 4 Kgf. 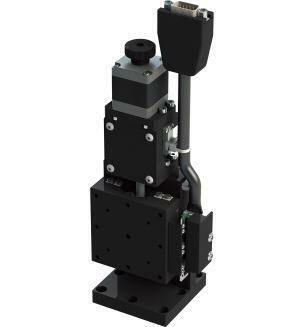 This motorized Z-axis positioning is made of aluminum alloy. The stage size is 60 x 60 mm. The Load Capacity is 4 kg. The resolution is 0.2 microns / 0.1 microns with 10 / 20 micro-steps per step motor driver. The typical positioning accuracy is 5 microns.